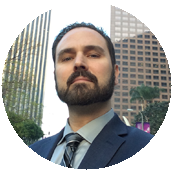 Skype depositions | Todd Olivas & Associates v3.0 | Court Reporting Services in Orange County, Riverside, San Bernardino, San Diego, Los Angeles, Irvine, Santa Ana, San Jose, Sacramento, Fresno, San Francisco, Bakersfield. TO&A employs no court reporters, interpreters or videographers of our own. The providers we send are fully qualified and reliable independent contractors. Online court reporting programs, do they work? We just did our first Skype deposition. If you are not familiar with Skype, here's the primer. Skype is a software application that allows users to make voice and video calls over the Internet. Calls to other users within the Skype service are free. Did you hear me, F-R-E-E! Granted, Skype is not a replacement for true videoconferencing but the cost differences are profound. Did you hear me, P-R-O-F-O-U-N-D! The doctor was skeptical about Skype's ability to handle this type of meeting. We even joked a little in the beginning about Skype being merely a consumer level product typically used just for grandparents Skyping across the country to see their grandkids. Still, the quality of the picture is good enough on both ends to get the job done. The deposition went off without a hitch. In fact, we have had more trouble doing speaker phone depositions before than this! I believe that we will see more and more of these types of ways of conducting depositions. The absence of travel and expensive videoconferencing costs certainly makes it an attractive alternative. We can only offer this service for California depositions where the deponent and our court reporter will be physically located together at one of our CA offices. We apologize for any inconvenience. What about capturing the video and audio on your computer? How would you do that? How do you capture the video and audio on your computer? Do you have to be connected through an internet access? And if the reporter is using a laptop for her reporting program, can it run both the video, audio, and realtime at the same time or do you need an additional laptop?